Posted in Design | Comments Off on Why do colours look different on my Monitor and Printer? Lightscribe Technology – is it as good as all the hype is making out? 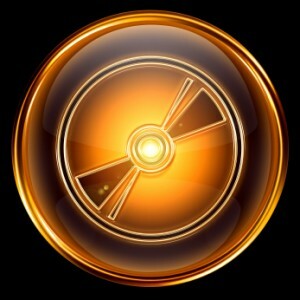 Lightscribe technology - the new way to make pretty discs! Some years ago, Hewlett Packard became increasingly frustrated with its own home-CD-printing software: It was a hassle to print out and stick labels on CDs and it was very easy to get it wrong! So their developers began to come up with a new plan; why not use a laser to etch the CD label onto the disc instead? The technology to achieve this was developed, dubbed Lightscribe Technology, and software and etching devices were unleashed onto the market. Lightscribe has been a massive success so far, allowing consumers to produce professional-looking CD labels at home by etching labels onto discs rather than printing and sticking. But how does this new technology work? 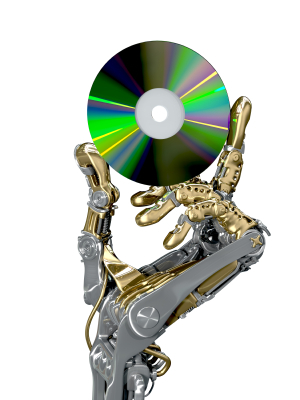 Allow me to explain; First, there is the Lightscibe drive, a disc-drive which etches your CD label design onto your CD. To use one of these drives, you must have compatible media (Lightscribe-printable CDs are very clearly labelled and available on the internet with a quick search-engine check) and the appropriate software installed to your computer. Hook the Lightscribe drive up to your computer and away you go! The drive itself works by using the same kind of laser that burns CDs to engrave an etched image of your CD label onto the front of your disc. However, it has a ‘control feature zone’ which not only allows it to take in the full dimensions of your disc, but also means that every time you insert the disc, it begins printing in the same place again. this means you can print multiple times on the same disc, adding a title or extra image if you wish. It is no problem if you forget something: You can always just insert it later on! 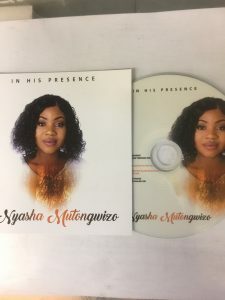 While this breakthrough is a marvelous development, it does come with some drawbacks; it takes a very long time to etch a CD label onto even one disc – up to thirty minutes, dependent on how complex your design is! – while printing and sticking usually takes between three and five. Also, while thermal and inkjet printing allow for variants in colour, Lightscribe is simply monotone. However the quality of the CD label is guaranteed to be superb and the etching effect does look incredibly professional: Much more so than a CD marker pen! Posted in Design, Helping You Decide, New Technology | Comments Off on Lightscribe Technology – is it as good as all the hype is making out? 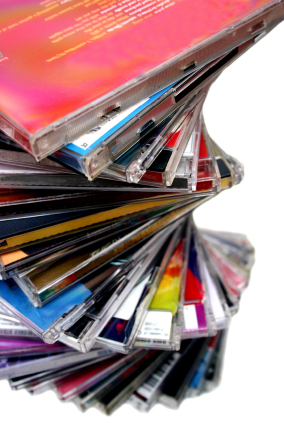 It's tricky to create a good CD design - so here are some tips to help you! The design of your CD artwork will have a really massive effect on who buys it and what your consumers think of it. Way before they listen to your CD, they will probably see the cover on a shop shelf. A lot depends on them taking an initial liking to this image, and also to the insert or booklet and back cover. This is why it is so important to put lots of effort into making your CD artwork look appealing and attractive – and not just to any user, but to your selected market! So this article intends to gives some helpful tips and advice on how to make your CD look super! These are the standard sizes for a CD Jewel case however I would advise leaving a 0.25” ‘bleed’ around everything to make sure that you don’t get any nasty unintentional borders – these can look really unprofessional! A ‘bleed’ is a gap where the image overlaps outside the print area and it serves to prevent white patches around the edge of an image. Similarly, don’t forget to leave a 0.25” gap inside the image too, called a ‘safety’, making an area called the ‘live’ image, where you can be certain that no important bits will get chopped off! As for what you put in the artwork, that is quite up to you, but it is a good idea to have important information accessible from the outside, i.e. on the front or back covers. For example, if you are making a music CD, it is a good idea to include the artist, album or single title, song names and record label in an easily visible place. But at the same time, don’t overload the cover with information which could be off-putting to many users. Sometimes simple is good! If you are making a booklet, you might want to put in some interesting information like an interview with the artist, lyrics or acknowledgments. Conversely, you could just have lots of really lovely pictures – it depends a lot on what you want the mood of the CD to be. As for the imagery itself, try and make it as personal as you can, for instance if you’re making a mix CD for a friend perhaps include images of the two of you together! Obviously, if you are aiming at a wider audience try and define what would appeal to your market. For example, heavy metal music usually has very heavy, gothic artwork involving lots of blood, skulls and demons, while classical music tends to have calming scenery or renaissance paintings on the cover. The same rules apply for choosing a font. For a more serious audience, try and select a serious font, for instance ‘Garmond’. Try not to pick anything that is too hard to read or very over-used – these will both put people picking up your product whether because they can’t understand it or whether because they dislike the cliche implied! To pick up the mood of your CD, especially if it’s musical, it can be really beneficial to listen to it while you are working on the artwork: Professional graphic designers do it all the time to get their creative juices flowing! Also, try creating a few different images before you settle on one as sometimes the first idea you have is not necessarily the best and look at other artwork to see what else is being done for inspiration. If you’re working on a computer, it is also worthwhile to zoom right out sometimes and take a look at the cover as a whole: This will give you a much better idea of what it will look like once it’s printed up! Be especially careful when designing your spine – it may look like a small thing but it is very easy to mess up if you don’t leave the proper bleeds either side of it! I would suggest at least two millimetres to compensate for any inaccuracy during the guillotining process, ensuring the writing doesn’t get cut in half or left off altogether! It’s usually a good idea to fit as much information as you can on here. With a music CD it’s normally the band name, record label and album or single title. It’s also quite important to keep your packaging in mind: The artwork will have to fit into it. Consider whether you wish to make a booklet, fold-out, single sleeve or whether you want to do something extra special. The band Tool recently brought out a very individual album with stereoscopic viewing lenses inside the booklet which made all the images appear in 3D! Their fans loved it and it got them a lot of publicity! Remember though, when brainstorming these awesome ideas, to always consider the cost, too. Sometimes what seems like a great plan is not practically the best thing to do. It’s also worth bearing in mind – and this is particularly appropriate for music CDs – that in this technological age, many CDs get copied to computer CD libraries where the CD artwork can be viewed when the song is played. It is worth remembering that any special colours, or ‘spot’ colours, which cannot be made with the standard computer colour displays will not show up! These include fluorescent and metallic colours. Though these look very nice on the shelf, you may want to make a different set of artwork that is computer-friendly, too. 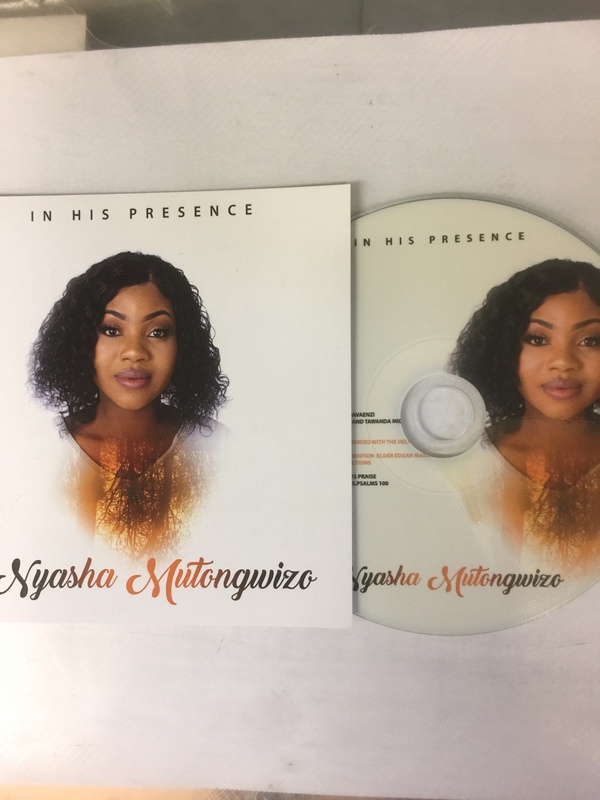 A particularly useful website for helping to design and create original and attractive CD covers, inserts and body-prints is offered here for free! You can upload your own images, add text and know for sure that your layout is exactly what is needed! I hope this helps get your ideas-hat on and gives some practical advice, too! Good luck with all your CD artwork designing! Remember to keep your intended user in mind and never stray far from the CD content and you’ll be well on your way to creating some great CD artwork! 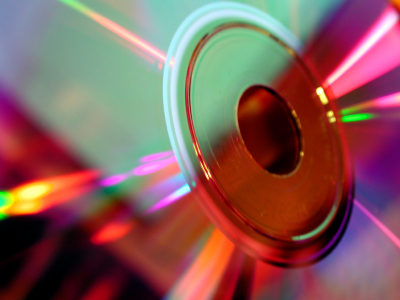 Nowadays, when issuing a CD or DVD onto the consumer market, it has become almost as important what the disc looks like and how it is packaged as to what its actual contents are. That is why it is so important to choose the right CD or DVD packaging for your product! And as the market is flooded with so many different kinds of CD and DVD cases you would be forgiven for getting confused or finding it hard to make a decision. This article is here to help! In it, I shall discuss the various most common types of CD and DVD case, their pros and cons and any particularly distinctive features each one could offer, helping you make up your mind on how you want your CD or DVD to look. Though there is some crossover between CD and DVD cases but mostly they are quite different: CD cases tend to be smaller, designed to be almost the exact size of the disc itself. However, DVD cases tend to be the size of a thin, A5 book to accommodate extra booklets and information. I shall start by explaining the main types of CD case before going on to DVD cases. The most common kind of CD case is the Jewel Case, so named because their creator, somewhat romantically, said they picked up the light like jewels. These cases are made from transparent plastic, comprised of a lid supported by two arms, in turn attached to the base. The base is made from the remaining two pieces, one is plain and forms the back of the case, the other suspends the CD, holding onto it with small teeth which grip the central hole of the disc. With these cases, there is a lot of scope for CD artwork and information: It can be in an insert or booklet slid into the front cover and held there by four or six small plastic teeth and also on an insert in the back, between the two components, which makes it very aesthetically pleasing. 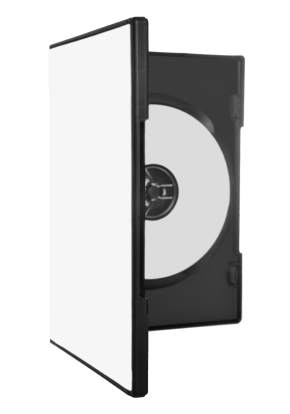 Not only that, but they will also protect the CD for much longer than some of the other, flimsier cases, thus being ideal for use in the music or film industry. There are also variations on the case, making it double thickness with extra hinged trays, so it can carry two, four or even six CDs. To add to this, so long as the inlays are all in place, the disc is almost completely protected from UV damage! So, these cases are pretty, versatile and generally resilient: What is the problem? Well, the smaller parts (the teeth and arms) are liable to snapping which can render the holder useless. Aside from this, the cases are environmentally quite unfriendly as they are difficult to recycle and their creation produces lots of carbon dioxide and toxic fumes. They are also quite bulky and can cost quite a lot in comparison to some other cases. There have been some attempts to address these issues: Some cases have been fitted with tougher, black plastic backs to strengthen the case, but this is less aesthetically pleasing than the clear backs with artwork. Also, some cases have been made slimline, with only one component making the back, but again this compromises on aesthetics because the backing artwork is eliminated. By far the most space saving case for single CDs is the simple ‘sleeve’. These sleeves are made from either a thin, flimsy plastic known in the business as ‘tyvek’ or out of paper or card. The tyvek sleeves will protect the disc from water and other spillages where the paper ones won’t. But the paper sleeves are very environmentally friendly; recyclable and also able to be made from re-used components. However, in both cases, the sleeves are not strong and don’t serve to stop the CD from snapping or getting crushed and while the paper sleeves protect from UV damage, the plastic ones, unless they have inlays, are next to useless for this! So, perhaps not the best long term solution! However, in the short term, attractive inlays can be inserted into the plastic sleeves either side of the disc, while the paper sleeves are very printable and can even be laminated for a more professional finish. In keeping with the theme of paper sleeves, cases made from card are becoming increasingly popular. The market is full of new an innovative ways to display your CD in ever more eco-friendly packaging; from the highly acclaimed and regularly used DigiPack, which boasts only one component of plastic, to the origami-like Jake Case which is impressively folded around the disc to create an original and very aesthetically pleasing look. There is even the environmentally friendly WowWallet which is entirely made from FSC approved paper and cardboard. While these paper and card cases are ethically very sound and have every surface available for artwork and design, they are still less resilient than the plastic cases. They are susceptible to spillages, with the slight exception of the laminated DigiPak, and can be torn and battered. For this reason, they are more often used for advertisement or demo discs rather than a long term product which a consumer is paying for. Going ever more green, the most eco-friendly of the CD cases is the Soft or Green Case. These are made from the recycled discs themselves and are known for their opaque quality. However, because of this opaqueness, artwork is reduced to a minimum, and they are also not very good protection against the disc snapping as the CD cases can easily be bent back on themselves. Moving on to DVD cases, these are mainly being kept to book-sized plastic boxes called Keep Cases at the moment, which are akin to Jewel Cases, but have only one component on the back and are usually made from black plastic, though sometimes it is also clear or, very rarely, blue. A thin clear plastic cover allows for a colourful cover to be inserted on the outside and inside, two teeth make a holder for an information booklet. These are by far the most popular cases as, like the Jewel Case, they are resilient and leave plenty of options for artwork. Sets of DVDs are also released in Box Sets, storing two or more Keep Cases together in a cardboard box. However, the Keep Cases are quite expensive, thus it has not been unknown, especially in the advertising world, to use Tyvek or paper sleeves to distribute DVDs. When it comes to bulk packaging, CDs and DVDs are very similar, coming mainly in Cake Boxes. A Cake Box piles discs one on top of the other on a spindle, with one large cylindrical plastic cover to protect them all. However some of the cheaper CDs can also come in Blister Packs, like pharmaceutical pills, or shrink wrapped in plastic. Normally only blank discs are sold in this manner and it is advisable in these cases to at least buy sleeves to protect your discs once you have burnt onto them. Of course this is a vast generalisation on the different kinds of CD and DVD case available – there are always exceptions to the rule, for example many special limited edition or anniversary albums or films are brought out in unique cases which are made from metal or even wood. Some albums are released with pop-up artwork and some advertisement discs have oddly shaped booklets to try and draw attention to them. While these are all excellent marketing ideas, they do come at a hefty price and I would advise only going down the specialist route if you know it will be worth it for you in the log run – whether for profit or artistic achievement! I hope this article has proved useful and helped you to make your mind up about which CD case is best suited to your needs, whether they be to produce an attractive product, create a long term data storage device or simply learn which case would be most kind to the planet! Differences between disc printing methods – which one is right for you? It is very important to have labels on your CDs: This is not only so other people know which way up it is supposed to go into the machine, but also for a beautiful and professional-looking product. But the problem is, there are lots of different ways of disc printing so deciding which one is most suitable to your needs can be tricky! This article is aimed at helping you to figure out which one you want to use! To start, there are four main techniques for printing CD labels: Lithographic, or offset, printing; thermal transfer printing; silkscreen printing; and inkjet printing. Each one has it own pros and cons. 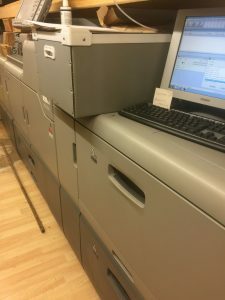 Lithographic CD printing, or offset printing, involves putting your CD artwork onto a processing plate either through simply printing it from a computer or using photographic negatives and a chemical treatment. The plate is then ‘offset’, or imposed, onto a rubber blanket cylinder which applies it to the surface of the CD or DVD. This process looks incredibly good, and allows for high-quality photographic images and small text to be printed onto your CD. However disc printing in this way is only avaliable if you are replicating rather than duplicating discs as it is part of a whole manufacturing process. 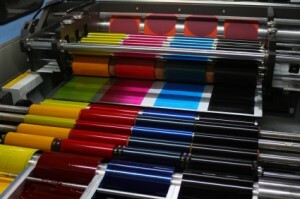 It can take up to ten days for the entire process to complete, thus is much less speedy than other printing methods. It is, however, a very good printing option if you need more than 1,000 discs to be made as large batches of discs are usually replicated anyway to save money. But, even taking this into account, Lithographic printing is not the cheapest option by any means. images are taken directly from a computer, the process is very fast. It is cost-effective in small runs and also looks very good – the print quality is even better than with lithograph disc printing! (This is not to be confused with thermal printing which uses basically the same technique but can use only one colour and is slightly less precise in finish – though it is even faster and cheaper!) Both thermal and thermal transfer printing do not allow you to print right up to the edge of the disc and thermal transfer printing will quite often have to have a white base to print the other colours on top of. Next, silkscreen printing, or simply ‘screen’ printing, allows disc printing by passing ink through a monofiliment screen. Each colour is put on separately, a different film acting as a stencil over the screen each time. This technique, while by far the cheapest for large runs of disc printing, can leave a grainy effect around colour gradients and text. Nevertheless it is perfectly acceptable for simple designs which use only a few colours. Be warned that the more colours you use with this technique, the less the quality of the image will be! Lastly, using inkjet printing you can achieve a very high quality finish. This process involves simply printing straight onto a specially prepared disc, then covering it with a UV-resistant laquer so the image will not fade or get scratched. This is a very good method of printing, however it does tend to be pricier for large runs of disc printing, as the price is fixed and does not drop the larger the order becomes. In this way, it can be more economical to is silkscreen or lithographic printing methods. I hope that this article has helped you make up your mind which printing method is right for your needs and good luck with your disc printing! Remember, if you can stretch the budget, it’s better to have a good-looking disc as it will attract more attention and consumers will like it better! Posted in Design, Helping You Decide | Comments Off on Differences between disc printing methods – which one is right for you? Duplication Centre Resource Centre is proudly powered by WordPress | Entries (RSS) | Comments (RSS) | 39 queries. 0.040 seconds.